Hei, valkoista valkoisella, tekstitön kortti, vaikka surunvalitteluun. Neliökukkaleike Penny Black, muuten kohokuvioitu verkkokansiossa (6x6). 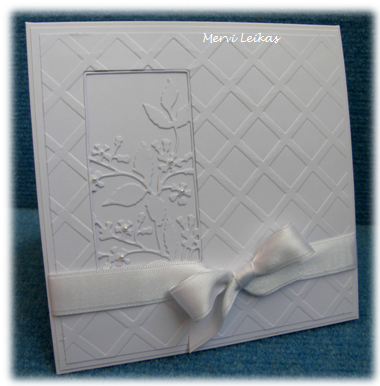 Hi, White on White, card for condolence. A beautiful WOW card, such lovely embossing. Thanks for joining us at Creative Moments. Lovely sympathy card. I really like the simple yet detailed and elegant look of this one. Such an elegant white on white card! Beautiful! 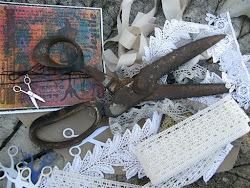 Thanks so much for sharing with us at Craft Your Passion#271! Good luck!